Sense and Sensibility - Emma Thompson and Alan Rickman. His face when he walks in to see Marianne playing the piano for the first time . . . Pride and Prejudice - Matthew Macfadyen as Darcy and finally an actual Jane. Yes. 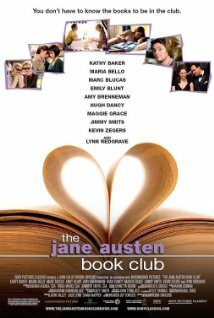 The Jane Austen Book Club by Karen Joy Fowler (book, film) - A notable instance of where I actually love the film more than the book (and I really enjoyed the book). All ladies (and one dude) book club sets out to read an Austen novel a month. Delightful. 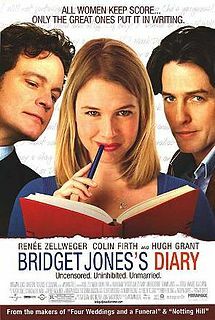 Bridget Jones's Diary by Helen Fielding (book, film) - Colin Firth and Hugh Grant. Too much fun. The Lizzie Bennet Diaries - I got sucked into this inventive web series and thoroughly enjoyed myself. I don't know that I'll ever go back and re-watch them like I reread and re-watch the other books and films on this list, but the first time was much fun. Now go ahead. Tell me which ones I'm missing out on and which ones are your favorites. I love The Lizzie Bennet diaries! I'm late to the party with them though, so am rationing the episodes so I don't race through them and then mourn their loss *too* much. The British author Melissa Nathan wrote two modern-day adaptations of Jane Austen novels - Acting Up (Pride and Prejudice) and Persuading Annie (Persuasion). Neither of them are perfect, I prefer Persuading Annie but that may be because my favourite JA book is Persuasion. The author also wrote three hysterically funny present-day single-title novels but passed away too young from breast cancer a few years ago. I came to it a bit late myself. And it was sad when it was over. It's fun to get caught up in things like that. I have never heard of Melissa Nathan! So thank you for the rec. I adore Persuasion, so Persuading Annie will go on the TBR. Very sad to hear she's gone. Matthew Macfadyen as Darcy is my favorite. And YES about Jane. Knightley as Elizabeth was a little sketchy, but I think the rest of the cast makes up for it. Judi Dench! Donald Sutherland! Anyway, I'm off to check out Enthusiasm! Colin Firth . . . he really is so wonderful. You don't like the Colin Firth BBC version of Pride and Prejudice? I enjoyed the movie if The Jane Austen Book Club, but the nerd inside me just wanted to watch people talk about Jane Austen. There was a little bit, but not enough to satisfy. Does the book feature more Austen discussion? I hear ya, Lizzy. I read the book when it came out, so it wasn't as fresh in my mind when I saw the film. And for some reason the actors really worked for me. It is a fair departure from a lot of the book, though. You do get a little more Austen focus in the book, along with the ways in which their personal troubles and situations reflect her stories. It's very light, to be sure. I often lose focus with such fluffy homages, but for some reason its sweetness didn't cloy for me. And I liked Julia and Parr a lot. I know a lot of people who love the newer S&S, Sandy. I think I fell so hard for the Thompson one that nothing is likely to pull me out. Alan Rickman . . . I have seen Lost in Austen after hearing all the hype. Unfortunately, it didn't work for me. Lol. I really seem to have a weird thing when it comes to Austen updates. But I totally see the appeal. I loved Jane Austen Book Club. It was a truly a delightful movie. I also thought that the dude in the group was cute. I got into watching Lizzy Bennett Diaries couple of months back and it's unusual style of P&P adaptation was awesome. I also love all the recent BBC Adaptations of Austen's books with the exception of Sense and Sensibility. The Emma Thompson, Kate Winslet starrer was so much better! Yay! Not just me then. The dude was very cute. And I love that he read scifi and Ursula Le Guin. Thank you! That version is just . . . luminous. I haven't read Enthusiasm but I have it from the library right now. I love Bridget Jones's the Diary (both the movie and book). And I LOVE LBD. It is something I would like to rewatch. As for other movies, have you seen Bride and Prejudice? I really enjoyed that one. Oh fun. It's a single night read. Hope you enjoy it. I haven't. The title scares me. But your recommendation is encouraging! I love me some Clueless, talking of Austen adaptations. ;) So well done. Oh, yes. It really was well done. I need to pull that one out. It's been years since I watched it! The 1995 film version of Persuasion and Melissa Nathan's Pride, Prejudice and Jasmin Field are two of my all-time favorites, and just this weekend Austenland joined the list. What fun! Okay, TWO of you have recced Melissa Nathan now. I'm going to get on that ASAP. Looking forward to seeing Austenland! I hear good things. I adore Bridget Jones! Did you hear there's a third book/movie in the works? Book 3 is already available for pre-order, looks like it comes out in October this year, and I guess the movie is in the works now (though judging by the IMDB title, I'm a bit leery of this one). I hadn't heard that! Hm. I didn't love the second movie as much as the first. Wonder where a third will go? The Lizzie Bennet Diaries - this looks like an awesome book to read I guess I would grab this book and read it this coming weekends. I second that list! I also love the Amanda Root movie version of Persuasion and Bride and Prejudice. Ah, yes. That version of Persuasion is my favorite, I believe. She's wonderful. I still haven't seen Bride & Prejudice. This is the Bollywood one, right? I'm thinking I need to go hunt it down. 95 P&P for me, though I watch the 95 Persuasion more often (it's shorter!). And Clueless. I adore Clueless. I also really like the Gwyneth Paltrow Emma, mostly because if anyone *is* Emma, it's Paltrow, and the rest of the cast does a good job, too. There's a more recent Emma with Romola Garai and Jonny Lee Miller as Mr. Knightley. Miller had quite a run at Austen recently (he also did Mansfield Park). Bride & Prejudice is cute, and if you like the Bollywood thing (I've never gotten into it) it's apparently REALLY cute. Same here! I'm prob due for a 95 P&P rewatch, as a matter of fact. I do love Jeremy Northam in Emma. And Ewan Macgregor is so delightfully greasy. I haven't seen the more recent Emma, though I loved Jonny Lee Miller in Mansfield Park--an adaptation I loved quite a bit more than a lot of others, I think. Not much into Bollywood, but I haven't really given it a go so I think I'll try B&P. Um...I haven't seen or read any of these adaptations (except for LBD - which I LOVED) what is wrong with me exactly? I am kind of desperately wanting to watch Bridget Jones..I mean Colin Firth and Hugh Grant? Hubba, Hubba. Ahem. Indeed. You need Firth + Grant in your life, babe. 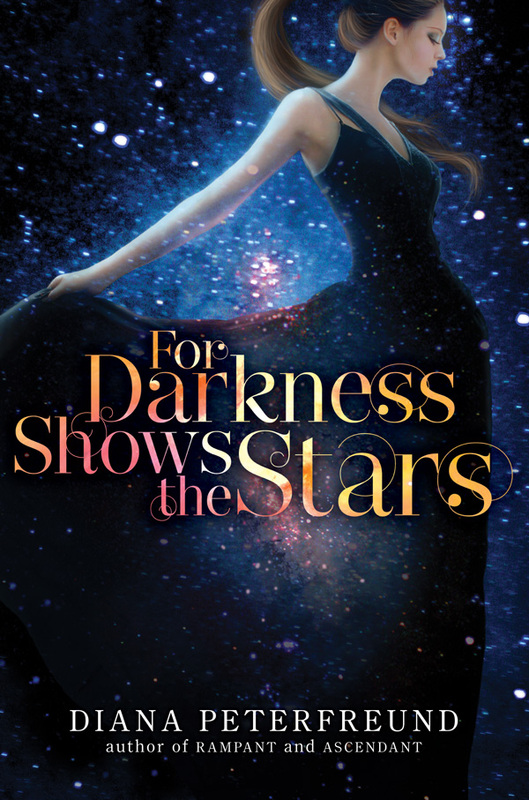 Absolutely adored For Darkness Shows the Stars. Stunning in every way. I loved the Romola Garai version of Emma. I liked how they portrayed the father/daughter relationship on a much deeper level. You really come to appreciate the fact that he kept Emma and her sister after their mother died as opposed to Jane Fairfax and Frank Churchill who had to be sent away. Love Emma Thompson's Sense & Sensibility. Perfection, really. Wasn't it? I can't wait to read the companion book. Love me some Scarlet Pimpernel! That's a good point about the Garai version. I keep missing Jeremy Northam when I watch it. But I agree on that deeper relationship. Perfection. It is absolute perfection. A thousand times YES to this list! You already know how I feel about For Darkness Shows the Stars, and I absolutely loved The Jane Austen Book Club. WWJD indeed. Random fact: One scene of the movie was filmed at the Starbucks I used to work at back in the day. Enthusiasm reminded me of vintage Jennifer Echols -- kind of a silly story but SO much chemistry and swoon. I wish the newest adaptation of Persuasion was better but I just didn't buy Rupert Penry-Jones as Wentworth. I love Ciaran Hinds though his Wentworth was too old. I'm still loyal to Colin Firth + Jennifer Ehle though Rosamund Pike was the perfect Jane. I thought Romola Garai was fantastic as Emma but wanted Jeremy Northam as Knightley. Can we Frankenstein all these adaptations into one perfect one? Yes! I'm so glad it's not just me. I tend not to hear much love for that movie and . . . I just love it. The scene where he gets off his bike with his huge thermos of coffee? Lol! Oooh, I like the Echols comparison. I should definitely sell it that way from now on. Thank you. I just never got the FEELS for the newer version. And I feel the exact same way re: Ciaran Hinds. Love him, but . . . just a bit too old for me to really get behind their relationship. Sigh. Please someone make a fabulous new one!! I miss Jeremy Northam every time I watch it. Just. He is Knightley to me.